NEW COLOR: Portable, flexible 800ml wine bottle that preserves flavor of your wine. Learn more. By providing an airtight barrier in a flexible design, the PlatyPreserve™ safeguards the flavor of your wine and offers the perfect lightweight solution for transporting wine or spirits securely and discreetly with a tasteful new storage bottle design. 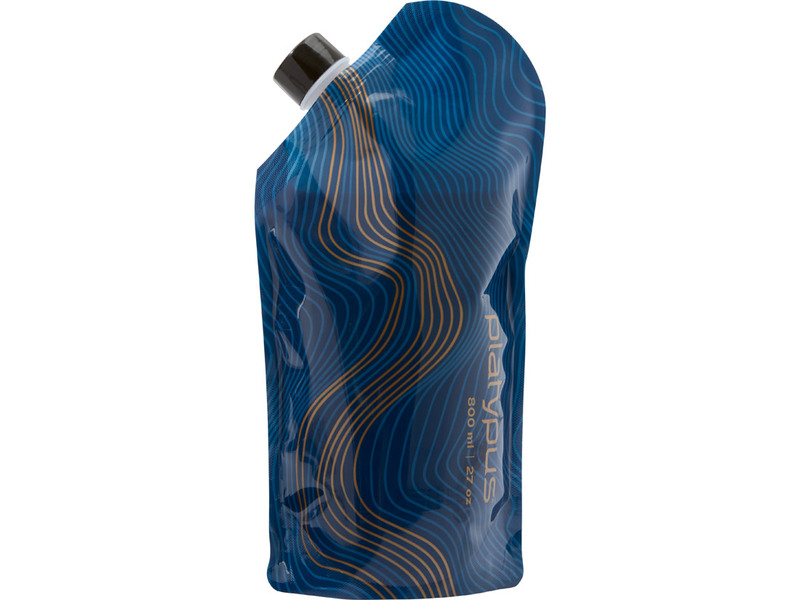 Whether you're backpacking, cycling, traveling, or at a concert, the unbreakable container travels comfortably in a backpack or shoulder bag. 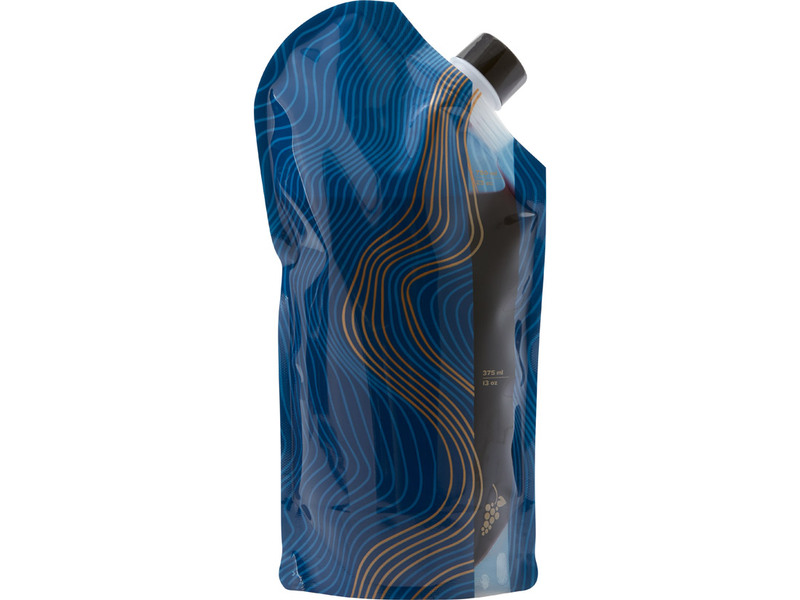 Portable: These flexible and collapsible containers offer an easy, lightweight alternative to glass bottles for transporting and enjoying wine wherever you go. Maintain flavor: Food-grade lining of the PlatyPreserve is 100% taste-free, preserving the taste of your wine. 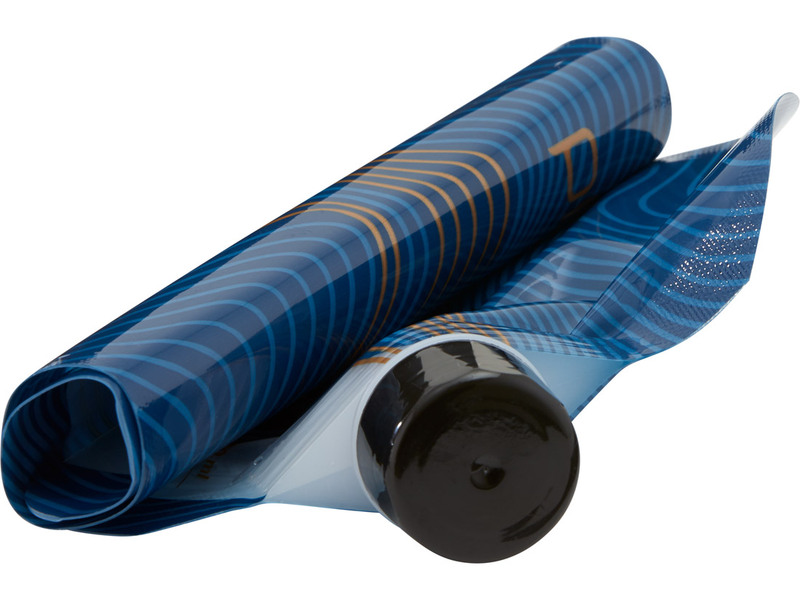 Dark exterior graphics also preserve flavor by minimizing light exposure to your wine. Maintain freshness: Remove excess air by lightly securing cap and expelling it out the top before screwing on the cap tightly for an airtight seal. Dependable: Durable materials ensure superior leak protection. Angled Spout: Provides an easy filling and pouring experience. Enjoy more wine longer: Transfer unfinished wine into the airtight reservoir to protect the wine's flavor, letting you continue to enjoy it days or even weeks later.